National Thermal Power Corporation Limited released NTPC Recruitment 2019 Notification. And this advertisement is for the available 207 Engineering Executive Trainee Vacancies. Therefore, all those people, across the country, who are looking for the Government Jobs, can check the complete information. And then proceed to apply, for the NTPC Engineering Executive Trainee Recruitment 2019. Well, 31st January 2019 is the final date. By that date, the candidates, have to submit the application form. Applications should be submitted in the Online Mode only. Good chance for the people, who completed their ITI, Diploma or Degree in Engineering, in the respective field, from any recognized institute or University in India, as the Educational Qualification. Remember that the officials are going to make the selections through the GATE. 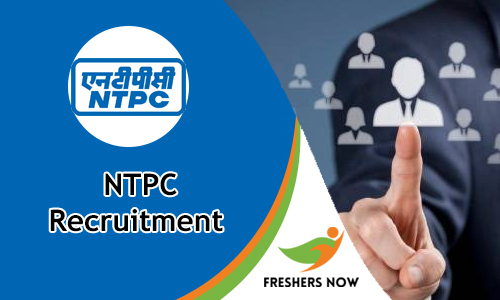 Well, if the aspirants are not interested in this NTPC Recruitment 2019 or if you are willing to check more other Central Government Jobs, then check them on our site Freshers Now. Candidates, who are willing to apply, for the NTPC Recruitment 2019 should have completed their ITI, Diploma, Degree in Engineering from any Recognized Institute or University in India. Apparently, the officials of the National Thermal Power Corporation Limited are going to conduct a personal Interview, in which the candidates, have to show the merit. Officials are going to pay Rs.60,000 to Rs.1,80,000/- Per Month as the salary. Now, the site will redirect you, to another page. Over there look for the Engineering Executive Trainee Vacancy. And then if you are eligible, fill the application form by clicking on Apply online. And then recheck and submit it before the final date. Hope the total details we shared related to the NTPC Recruitment 2019 is helpful for the candidates. Check more such details, visiting our site regularly. Another NTPC Recruitment 2018 is added to the National Thermal Power Corporation Limited. This is the good news for the job hunters who are eagerly searching for Central Government Jobs. Our advice to the people is take a deep look at this post and check the eligibility criteria details. We have included education qualification, application fee, selection process, age details, pay scale and some of the easy steps to apply for latest NTPC Job Openings 2018 at below sections. So check the entire details of National Thermal Power Corporation Limited Jobs Notification 2018 in this article. You can also visit the official website of NTPC @ www.ntpc.co.in. We are here to give the complete information regarding NTPC Recruitment 2018. After referring the eligibility criteria the main thing all you need to do is to apply for the National Thermal Power Corporation Limited Jobs 2018. As per the latest news, many of the people who possessed their 10th, 12th, B.E, B.Tech, M.Tech, Graduation, Post Graduation are anxiously waiting to apply for NTPC Jobs 2018. Both Fresher and experienced candidates are eligible to apply for the NTPC Openings 2018. Till now a huge number of candidates had submitted their forms. And some of them are searching for the details. For all those aspirants, this is the correct place to check out complete data related to Thermal Power Corporation Limited Jobs Notification. National Thermal Power Corporation Limited is shortly known as NTPC. The NTPC is one of the most popular power corporation in India. Its headquarters is located in NTPC Bhawan, SCOPE Complex, Institutional Area, Lodhi Road, New Delhi, India. It is an electric utility industry. It is established by Government of India in 7th November 1975. The National Thermal Power Corporation Limited service is available across India. Gurdeep Singh (Chairman & MD) is one of the key people for NTPC. Across 22,124 number of employees are working under this organization. If you are one of them want to shine your career in central government sector then without delay utilize the NTPC Recruitment 2018. Waiting for latest Central Government Jobs? then keep an eye on this article. Because we have given the very useful news related to NTPC Recruitment 2018. Check the National Thermal Power Corporation Limited Jobs Notification and start your procedure. The authority of NTPC made an announcement that all the applicants need to face written exam and personal interview. Get the complete NTPC written exam syllabus and model papers from our website. And give your best in the test. Also, the authority of NTPCL conducts the written test at various examination centers across India. You have to pay an application fee for the latest NTPCL Job Openings 2018. Before applying for any post it is mandatory to check the education qualification details. 10th, 12th, Graduates, Post Graduates are the minimum educational qualification for the participating contenders. Many of the graduates and postgraduate are showing their interest in the NTPC Recruitment 2018. Finally, it is the right time to apply for the National Thermal Power Corporation Limited Jobs Notification. All the candidates have to pay an application fee. The procedure for the fee details is available on the official website of National Thermal Power Corporation Limited @ www.ntpc.co.in. So visit the site and check the information. Also, there is a separate application fee for category wise candidates. The National Thermal Power Corporation Limited is planning to conduct the written exam in upcoming months. We don’t know about the exact dates. Soon we intimate the people by updating this article. When compared to the other jobs the Written Exam for NTPC Openings 2018 is very typical and tight. So you have to concentrate and spend more time on the preparation. Coming to the salary details the National Thermal Power Corporation Limited is ready to pay an impressive salary for the selected candidates along with the grade pay. So don’t miss this opportunity. The age relaxation is applicable to the candidates as per the central government norms. Contenders who belong to SC/ST, PWD and OBC can check the upper age relaxation details from National Thermal Power Corporation Limited Jobs Notification. Follow the below steps and apply for National Thermal Power Corporation Limited Jobs 2018. We have given all the details about NTPC Recruitment 2018 in an understandable manner. Go through the information and without delay apply before the closing date. www.freshersnow.com is the correct platform for the people those who are in the job search. And also contenders can get the genuine information on our website. We are here to help the contenders to share the best job opportunities.